Autumn days and autumn nights at Healing Waters Lodge, so beautiful here. Winter is coming and the flora and fauna are preparing for it. Mike is preparing for his road trip to present the fly fishing vacations we have to offer to Orvis venues around the country. 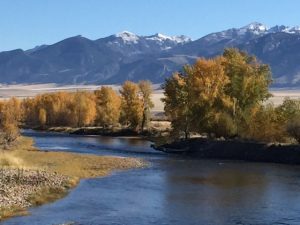 Southwest Montana fly fishing and Smith River trips that float you down 60 miles of river in 5 days. We sure appreciate each day we have and take nothing for granted.